Well it's been a while since I was here, life has been well life recently and sometimes something has to give. I have stepped down from my role on the DT at Pennys Paper Crafty Challenge and this is my last card for them. I have used the image Flowers in Bottles from our sponsor A Day for Daisies and my blue papers are from Nitwits - Petal Fresh. They are actually from a Lili of the Valley pad that is now discontinued and I have nearly run out of. My Blue ribbon is from Craftwork Cards and I coloured the image with Polychromos pencils. 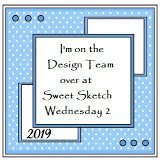 My next card is my DT card for our latest challenge at Sweet Sketch Wednesday 2. We have this lovely Woodware Stamp as a prize. and here's how I used it. Papers are LOTV Nitwits Country Meadow, Ribbon is from Craftwork Cards and the image is Sarah Kay decoupage. I do love these sweet images and it was nice to have change and play with my decoupage, The die is from My Favourite Things. Love the subtle colours and the design. Great image too. I have that Woodware stamp and it is really nice to use and colour. 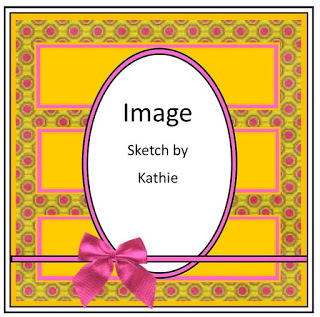 A supre take on the sketch, a lovely image and papers. 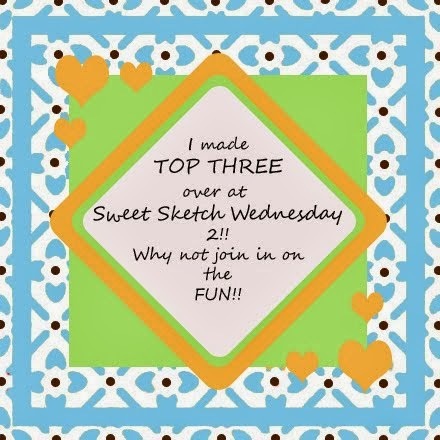 Such a pretty card and two great 'B's, many thanks for joining in with our 'I Spy' theme at Allsorts challenge. Two gorgeous cards Anne, love the Sarah Kay image.